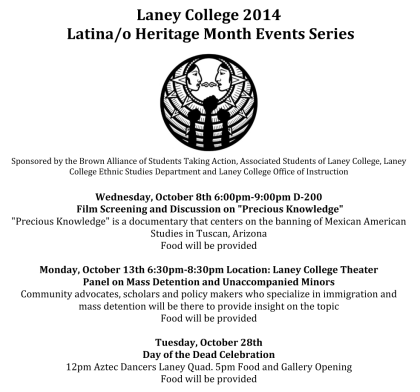 There will be a film screening and discussion at Laney College during Latino Heritage Month. Food will be provided. 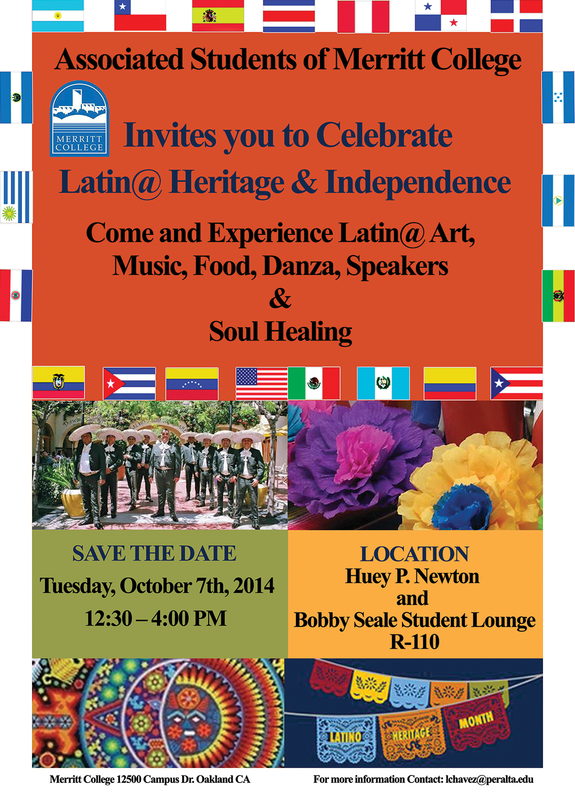 ASMC invites you to join us in celebrating Latin@ Heritage & Independence. Come and experience Latin@ Art, Music, Food, Danza, Speakers and Soul Healing. 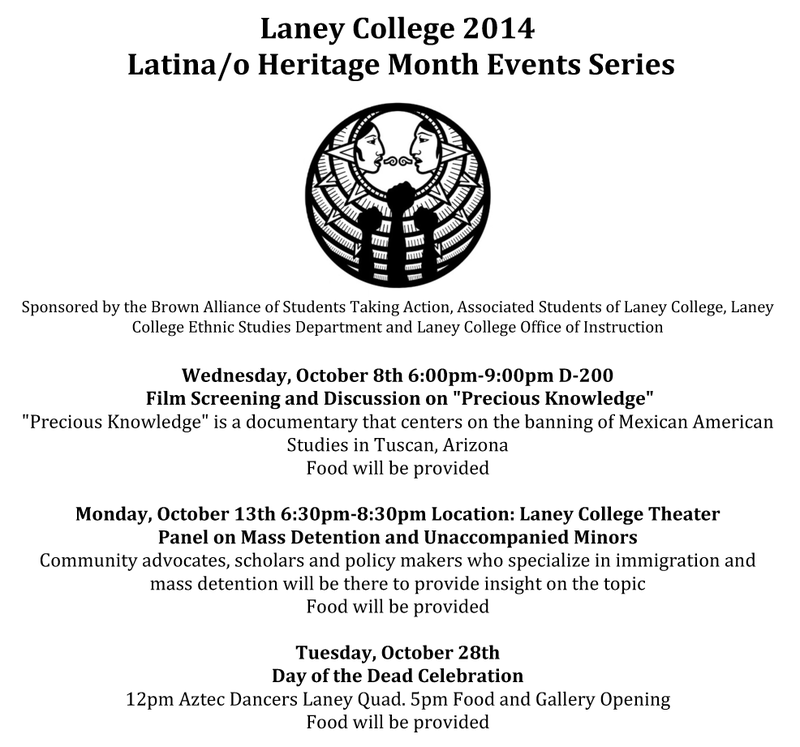 The celebration will take place on Tuesday, October 7, 2014 in the Huey P. Newton & Bobby Seale Student Lounge in Building R-110 from 12:30 to 4:00 pm. Food will be provided.